Coal ash poses significant threats to waterways and communities across the country, but particularly here in the Southeast where we have a disproportionately high number of sites. For decades, the public and environment were completely unprotected from these dangers with major gaps in oversight and regulation at both the state and federal levels. Congress passed and the Obama Administration approved the “Water Infrastructure Improvements for the Nation Act” (WIIN) in late 2016. WIIN amends the Resource Conservation and Recovery Act (RCRA) to allow the Environmental Protection Agency (EPA) to approve state coal ash permit programs that operate in lieu of the 2014 federal coal combustion residuals rule (CCR or coal ash rule). WIIN provides EPA with its first-ever enforcement authority over the requirements of its coal ash rule. EPA established the original coal ash rule on December 19, 2014, nearly six years after the Kingston Disaster. Despite the clear risks, EPA declined to classify the toxic substance as “hazardous” under RCRA. With the passage of WIIN the rule’s requirements can be enforced by EPA, utilities (and other owners) themselves, the states, and via citizen suits. The rule sets minimum federal standards for coal ash, but its effectiveness at preventing disasters like the Dan River spill and the tragedy in Kingston will depend greatly on implementation or lack thereof by the utilities and enforcement of its requirements. Aside from failing to treat coal ash as a hazardous waste, EPA’s 2014 rule has other major deficiencies. Unlike earlier proposed versions, the final rule allows for the continued storage of coal ash in unlined ponds, and the very definition of “unlined” is changing to allow for utilities to potentially only use compacted clay or soil to serve as a “liner”. We believe the only truly safe way to deal with coal ash is to move it from unlined impoundments and place it in dry, lined landfills away from waterways. Coal ash lagoon at Duke Energy’s Riverbend Power Station on Mountain Island Lake. Although there are groundwater-monitoring standards requiring corrective action from utilities for some pollutants, chloride, sulfide, manganese, boron, and several other pollutants are not included (boron was added in 2016). EPA also will not require inactive coal ash impoundments at inactive power plants to close under the new rule. These sites are often unlined and may be leaching dangerous toxins into local waterways and drinking water supplies. According to a 2016 report [links to .pdf] from U.S. Commission on Civil Rights (USCCR), EPA “…requires low-income and communities of color to collect complex data, fund litigation and navigate the federal court system…” in order to enforce the coal ash rule. The USCCR found that citizen enforcement of the rule as originally required before WIIN places a “disproportionate” burden on these communities and that EPA should provide assistance with enforcement. 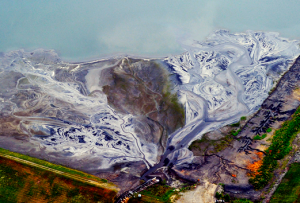 The new rule establishes groundwater-monitoring requirements for many coal ash impoundments and landfill sites, including corrective action requirements for some dangerous pollutants. By January 31, 2018, owners and operators will be subject to reporting requirements for their groundwater monitoring and corrective action programs. This information could be valuable for state agencies and advocates to hold utilities accountable for polluting ground and surface waters. The rule also creates location restrictions for where new impoundments can be sited and establishes closure requirements if existing sites do not meet these requirements. This aspect of the rule could protect sensitive wetlands and aquifers from coal ash pollution and protect communities from the dangers of siting coal ash impoundments in unstable areas. The new rule requires “closure” of unlined coal ash impoundments if they exceed certain pollution limits, and requires all ponds at active power plants to meet safety and location requirements or face closure. These requirements are strong when triggered and could lead to the eventual closure of some of the worst and most dangerous coal ash containment sites. Many of the reports required in the rule are accessible to the public via websites that you can find on each power plant’s facility page (where available). Owners and operators will be required to publish data and demonstrate that sites comply with location standards, results of annual groundwater monitoring, liner types, recent construction history, reports of corrective actions, and several other pieces of information that could be helpful for communities, public officials, and advocates in assessing the real risks to public and environmental health posed by coal ash storage facilities. 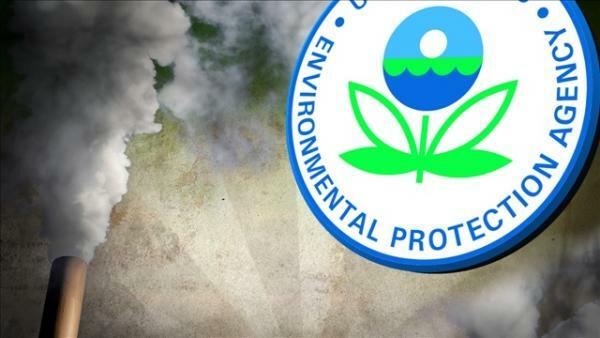 On September 30, 2015, the Environmental Protection Agency (EPA) released the long-awaited Steam Electric Power Generating Effluent Guidelines (ELG rule) which provide the first-ever national pollution limits to control toxic, liquid discharges from power plants into rivers and waterways across the US. Please see SACE’s May 2017 blog on the Pruitt EPA’s attempts to delay and change the ELG rule for further discussion of the impacts of these actions on its implementation. Every day, power plants across the country are using our public waters like an open sewer. Power plants dump 5.5 billion pounds of contaminated wastewater directly into US rivers, lakes, and bays every single year—that’s more toxic waste than the next nine most polluting industries combined. One of the primary sources of power plant pollution is wastewater from coal ash—the toxic byproduct from burning coal to fuel power plants. Coal ash is often stored wet in huge, unlined impoundments (sometimes referred to as “ponds” or “pits”) next to our rivers and waterways. It contains arsenic, mercury, and lead and poses serious risks to human health and the health of the environment. The good news is that the new ELG rule will, for the first time, require dry handling of most coal ash so it’s no longer added to these pits. While utilities will have years to meet these new requirements, the ultimate result will be a huge reduction in toxic pollution coming from power plants. The ELG rule and EPA’s coal ash rule are already forcing utilities like Alabama Power, Tennessee Valley Authority, and Georgia Power to finally start addressing their outdated storage and handling of coal ash. SACE, our members, and our ally organizations played an important role ensuring a strong ELG rule that offers real protections for southeastern communities and waterways. We urged the Office of Management and Budget (OMB) not to weaken the proposed ELG rule during its review (OMB serves the President and reviews federal regulation for potential economic impacts). SACE members also called on the EPA and the Obama Administration to move forward with the most protective rule possible. The Clean Water Act required EPA to update these standards. States have to reflect the standards’ new limits on pollution in the wastewater discharge permits coal plants must maintain and periodically renew. As the rule is implemented over the next several years, public pressure and advocacy will be critical to ensure that our waterways and communities are protected from toxic power plant pollution. Full control to create the report of your choosing listing coal plants with ash impoundments in the Southeast. There are a lot of words used to describe both coal ash waste and the ways in which it is stored. Coal ash is also called "coal combustion waste" (CCW) and "coal combustion residuals" (CCR). Wet coal ash impoundments are frequently known as "ponds," "lagoons," or "surface impoundments." © 2019 · Southern Alliance for Clean Energy · SACE is currently updating impoundment data and maps as new information becomes available.